I took this contest as a personal challenge to draw something that has an element of light or glow. This is the kind that could make a hit or miss. You better have a control or restraint in order for the glow effect to work. I tend to overdo the glow effect so I tried to focus on the crown. 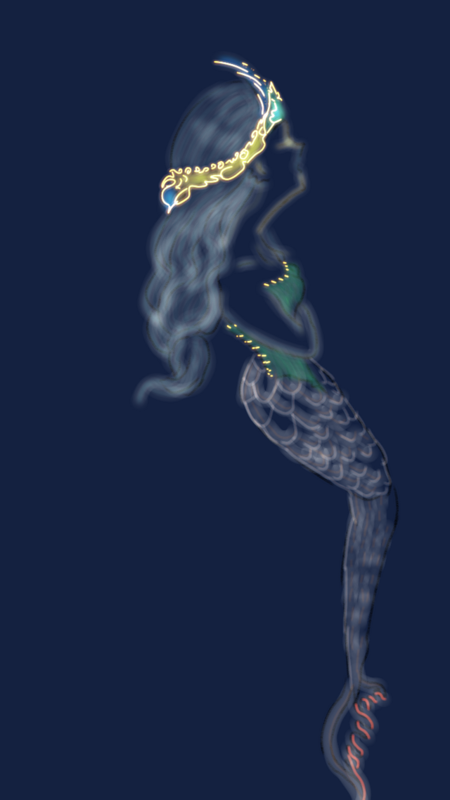 This is my attempt to draw a glowing mermaid for @nymia.aryn contest which is now on its 41st week.